HBO recently released promo photos of My GirlfirendTM Helen Mirren as Catherine the Great in advance of its upcoming miniseries. So, what do we know about the production so far? Not a heck of a lot, really. It will be a four-part miniseries, focusing on the later era of Catherine’s 34-year reign. It has Helen Mirren in it (in case you missed it above). It’s being directed by Philip Martin, who directed Mirren in Prime Suspect: The Final Act. It was through Prime Suspect back in the 1990s that I first discovered and fell madly in love with Helen Mirren, so I’m super excited about this. It’s written by Nigel Williams, who wrote Elizabeth I (2005), the miniseries starring Mirren as the titular Queen of England, which is another favorite of mine. 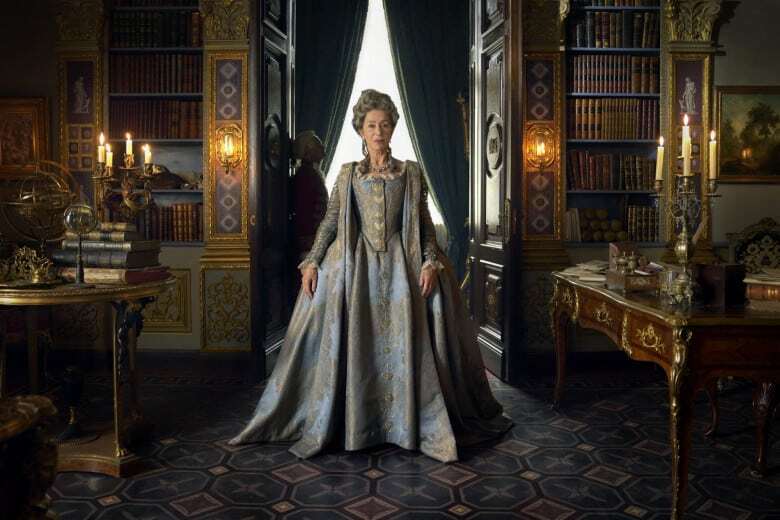 The costumes are designed by Maja Meschede, who really hasn’t done a lot of period film work up until this point, aside from being a costume assistant on The Duchess (2008). 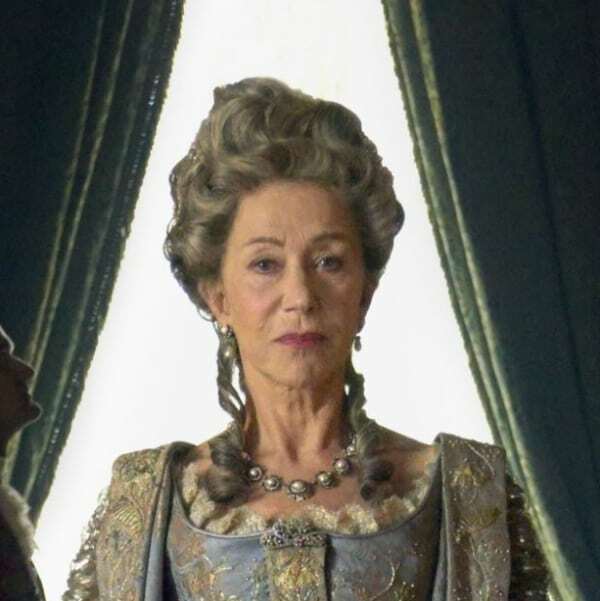 Based on this one photo of Mirren in costume … See below. There is still no release date, but it’s likely to be early 2019 if they’re just starting to drop promos without a lot of info other than the basics that I’ve listed above. Portrait by Alexandre Roslin, painted in 1776, when Catherine would have been 47 years old. Given that Helen Mirren looks considerably younger at 73 than Catherine did at 47, we’re just going to suspend a bunch of belief and roll with it. The wig is a little “soft serve” for the era (meaning it should look more sculptural and less like it was squirted out of an ice cream machine), but I get it. 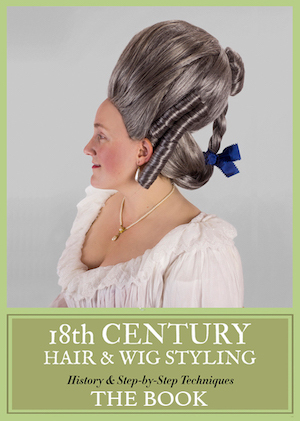 18th-century wigs are weird. We have to make them relatable somehow. Based on the sleeves, I’m thinking that the Roslin portrait is being used as a reference for this gown. Except that I’d interpret the gown as a polonaise-type of overgown, rather than the robe shown here. But whatever, that’s a quibble I can debate with you all in the comments. What irks me the most is the weird strip of embroidery down the front of the bodice. No doubt it’s covering a modern closure. I do, however, adore this fabric. I’ve been searching for something similar for late-18th-century purposes for ages and never seem to find anything that’s remotely affordable. 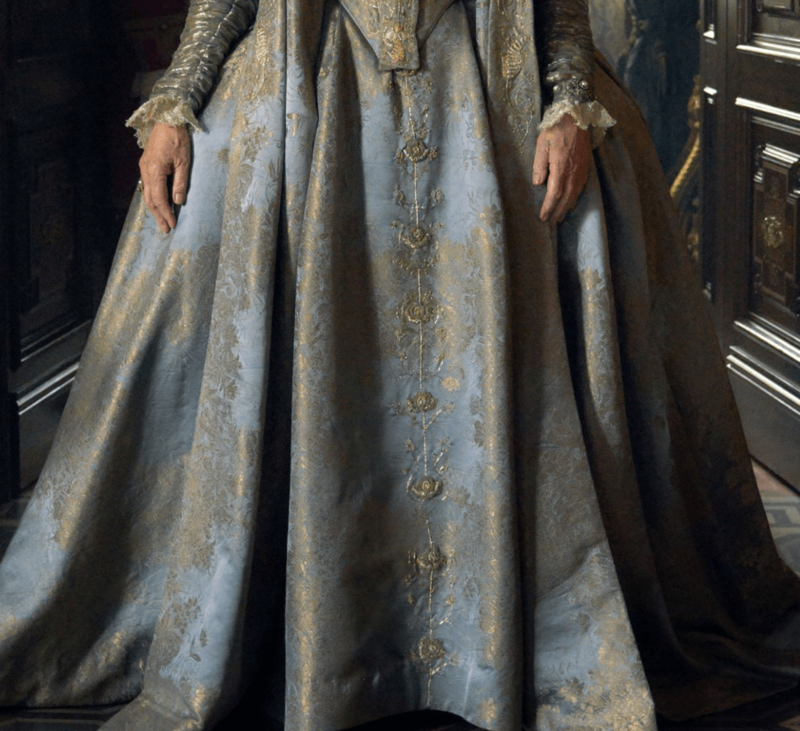 So at least we can assume there was a decent budget for the costumes set aside by HBO, because that fabric ain’t cheap. I’ll hold any real critique regarding the costumes until more images come out, but I can definitely say that I am intrigued by what we’ve got going on in this photo. Can’t wait for more! Editor’s Note: Check out this behind-the-scenes selfie from Dame Helen on Instagram! 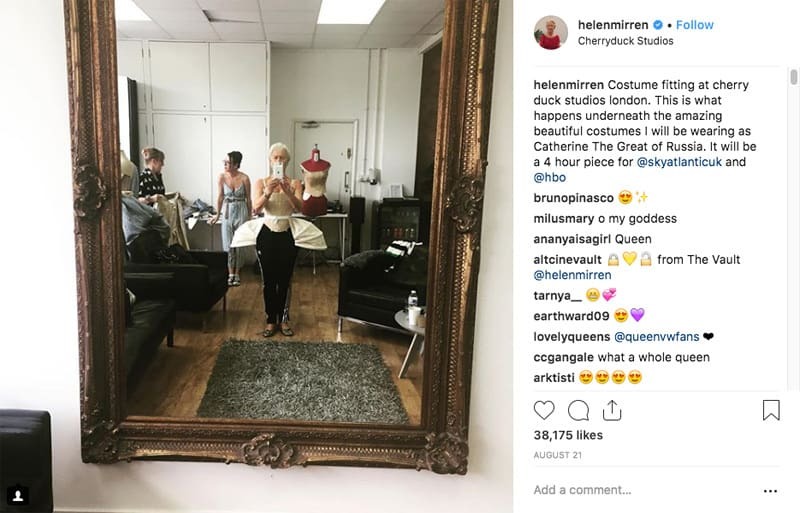 She snapped a pic at a costume fitting to show her corset and panniers, plus you can glimpse some other outfits behind her. I’m intrigued as well. And I’m having a major crush on the fabric. The strip down the bodice, I agree, is probably hiding openings. I’m expecting an opening scene dress the Tsaritsa, similar to the one in Elizabeth that Ms Mirren was in. 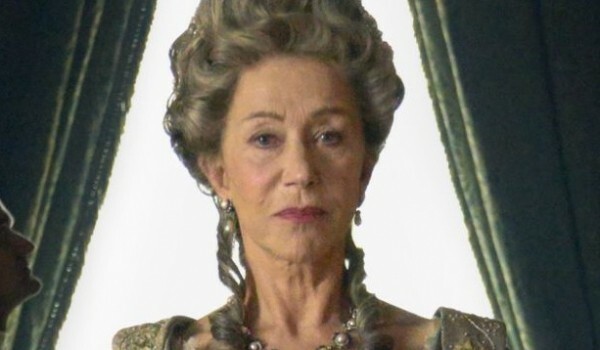 Ms Mirren’s Elizabeth was my second favourite portrayal. The first is if course Glenda Jackson’s. 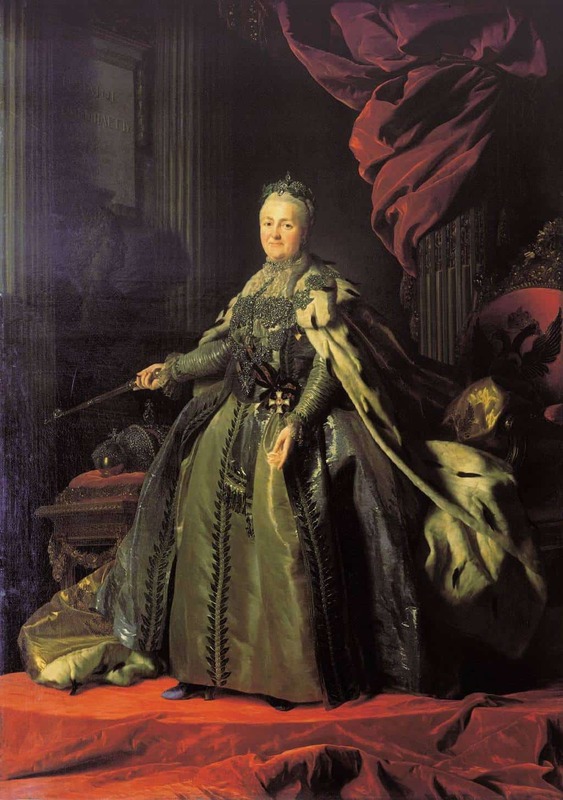 So far, my favorite portrayal of Catherine the Great is from Epic Rap Battles of History. Catherine’s lines kept playing in my head as I read this. I hope HBO does well by her. 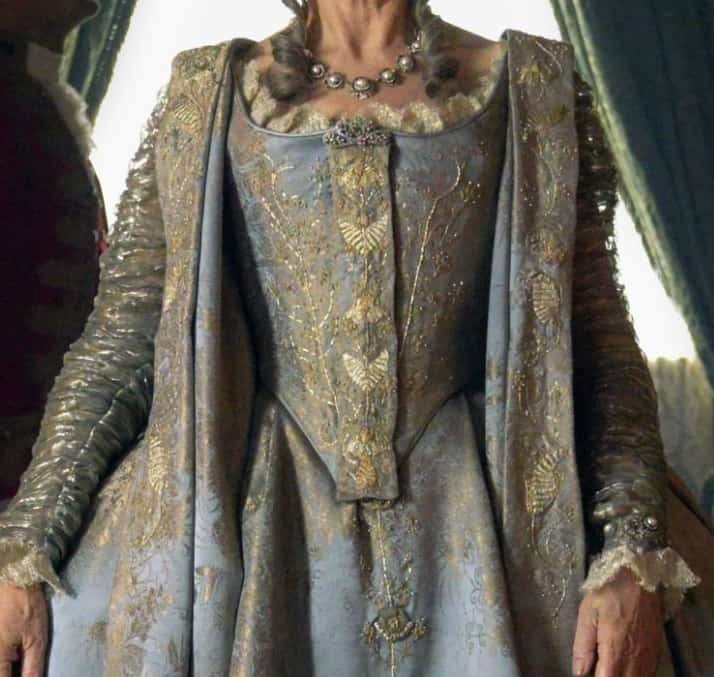 The strip of fabric on the bodice reminds me of the strips of fabric with buttons you see down the front of Russian court dresses in the 19th-early 20th centuries, so at least there is some historical precedent. I’ll be interested to see what that embroidery motif is up-close. It looks like either moths/butterflies or seashells to me. I can’t wait to see Helen Mirren act the hell out of this. She will be fantastic! I will wait and see on the costumes, 1 picture isn’t enough. It is beautiful in any case. This looks fabulous, but I’m still not happy Liam Neeson isn’t portraying Orlov. I’m squeeing over here!!! The fabric is amazeballs and this is Helen fricking Miriam. I cannot wait to see what they do with the story because she would not be in dreck. I have no doubt that Helen will indeed act the hell out of this, but she looks considerably less stout than Catherine does in the picture. Judi Dench might have been a better choice physically. I agree, and the acting would be just as stellar. Of course it’s covering a modern closure. I take it you have no experience of filmmaking otherwise you would know that there is only limited time for costume changes especially on a TV series. You need to think of practicality here. Also, don’t forget, this is TV and not Film, so there will be differences in budget and prep time.